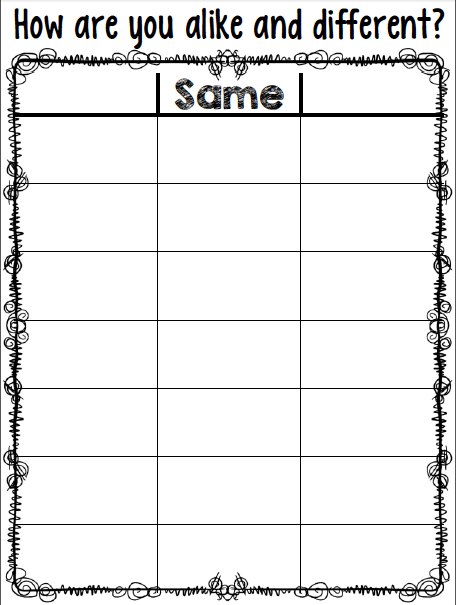 This was a super fun activity for the first week of school and was a great getting to know you activity. 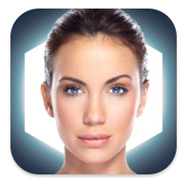 We had so much fun switching in/out faces all day and fusing them together using the app FaceFusion. 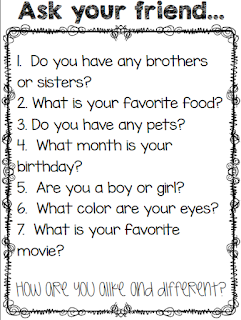 Students got to know each other by using questions to compare themselves. I had set questions that I used and asked the students as a group while they all worked with their partner. 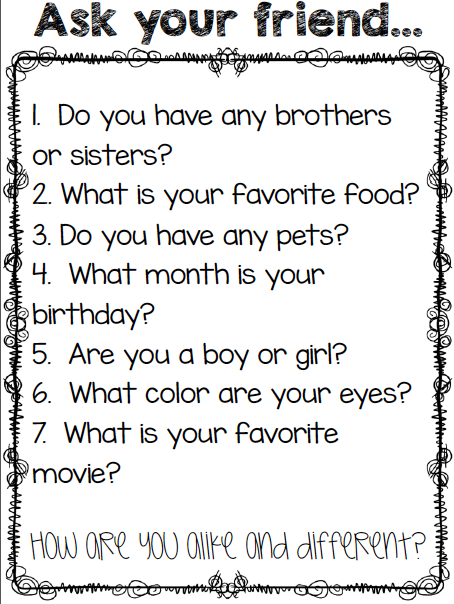 For the questions about pets and siblings, we didn't compare numbers... just if they had a brother/sister or dog/cat/fish etc. 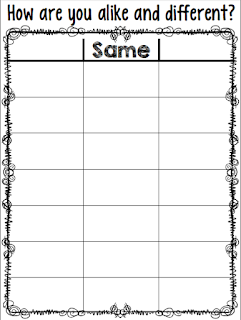 You can download these pages (the questions and chart) for free by clicking HERE. After students compared themselves to their partner, we used the app to fuse their faces together. 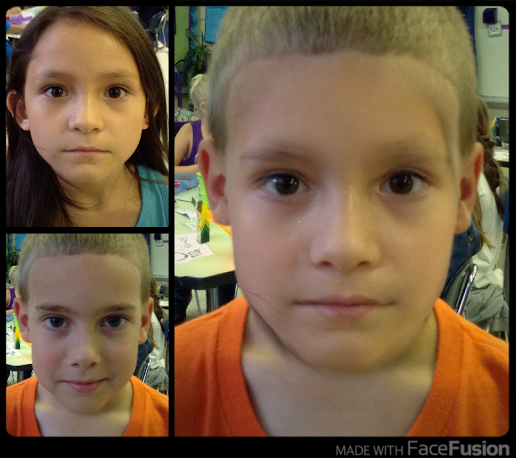 The kids caught on to the app pretty quickly... using the camera and aligning the facial features. ~Fuse classmates together to make new characters for a narrative. Talk about the character traits of the students and how combining them together would make a brand new character. ~Fuse two students together and make it a guessing game. Have students give clues so that others can figure out who the fused faces belong to. *Make sure to align the arrows around the face. This seems to be the most important part of making the faces line up correctly. *The face you choose first is the "base face" so it is the most prominent in the image... it is also the one whose hair is used in the swap. Keep that in mind when you fuse the faces of boys/girls... if you have a boy who might be embarrassed with having "girl hair" you will want to make sure you place the boy picture in first. 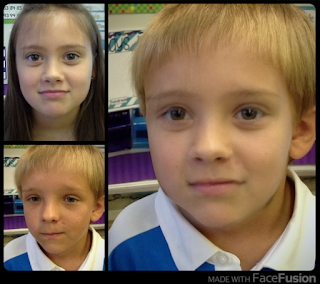 Once we got done comparing we used the apps to fuse the faces together. After a couple of demonstrations, the kids picked up on it pretty quickly. 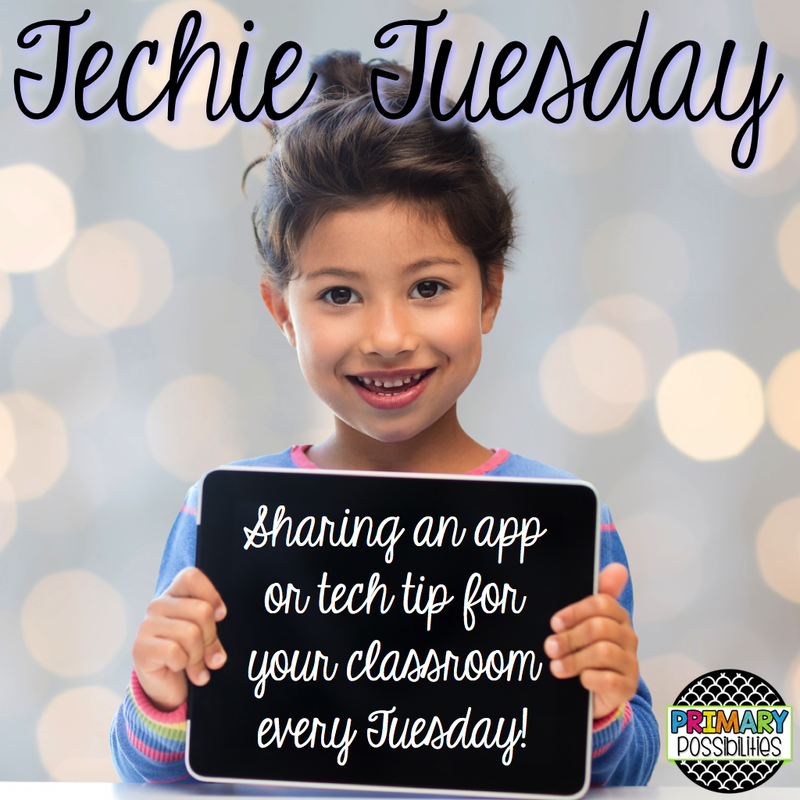 You can share the pictures several different ways after you fuse them together (e-mail, camera roll, and social media). You can share it as only the fused face or it will show the originals next to the fused face. Lite Version (Free): Lots of ads and videos every couple of time you use it. None of the ads were inappropriate that I saw but they were a little tricky to get past with exit buttons in different places and different wait times for videos. Plus, with the lite version you can only access the last couple of photos that you took. Paid Version ($1.99): With the paid version, you avoid all the ads. Also, you can load the faces of your entire class and keep switching them in and out... making multiple face fusions.